Are you baking dog treats in your own kitchen? Here are some ideas to get you started. Leslie says: "Thank you for showing off my treats"
Photos of homemade dog treats help home bakers get ideas about decorating dog treats and also provide encouragement that it is indeed possible to make beautiful home made dog treats! We would love to be able to share photos of dog treats homemade to show our website visitors what they can create. The photos shown on this page demonstrate originality and creativity with Fido's Frosting brand dog cake icing and frosting. This dog icing does not melt, so there is no need to worry if you live in a warm locale. You can enjoy decorating dog treats all year round. 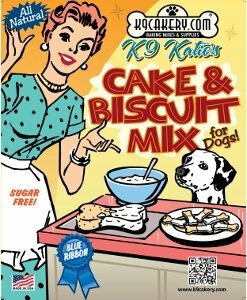 We have asked permission from the home bakers whose works of art appear on the pages in this section to use their photos of their dog homemade treats decorated with K9Cakery.com products. Who knows! Maybe some day they will go into the dog treat business. 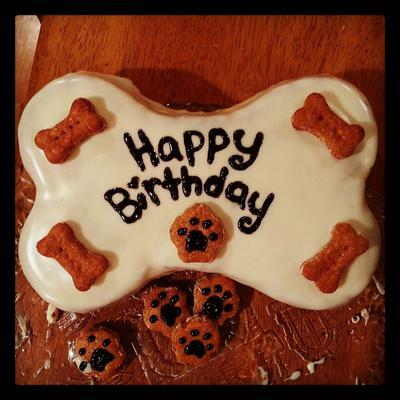 It is always nice to be able to show off original work and that is why we want to encourage individuals who are not professional bakers and cake decorators to contact us and we will print your dog treats for all to see and admire! My first K9Cakes for my girls' birthdays! 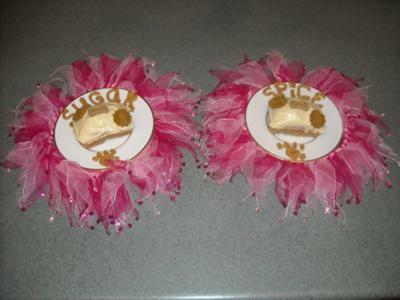 Sherri contributed the image above of the dog birthday cakes she made for Sugar and Spice, her two furbabies. Another reader added: Along with the great K9cakery mix with frosting I used a peanut butter filler for the writing and flanked the cake by two pup-squeaks for decoration. Both my girls loved their cakes and I took the extras to work for friends dogs. Pamela says: "Love my K9Cakery supplies!" 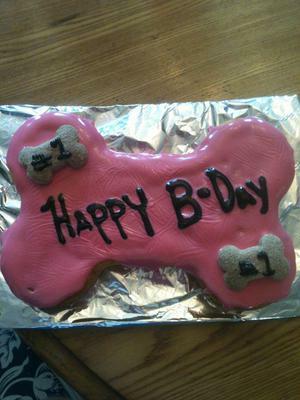 Pamela used the K9Cakery dog treat icing mix to decorate her beautiful dog birthday cake. Homemade dog cake by Stephanie! 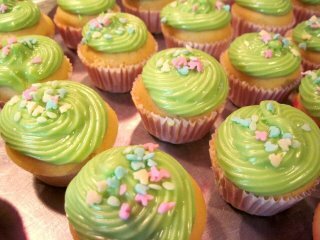 Stephanie says: "I love the Fido's Frosting! Playing around with my first batch. Here are a few of the dog cakes and treats we came up with." And finally, dog cupcakes baked by Ashley! 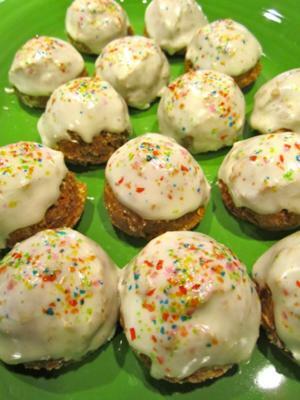 Looking for dog treat icing that hardens? 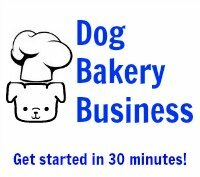 Find dog biscuit icing, dog treat icing mix, wholesale dog treat icing, dog cake icing and more at the largest dog bakery supplies store online.